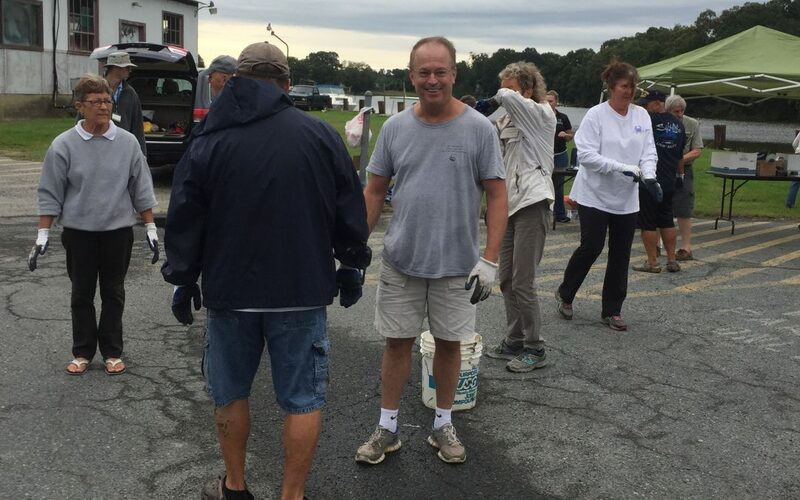 The 2018 Oyster Delivery was held on Thursday, September 27that Easton Point Marina. 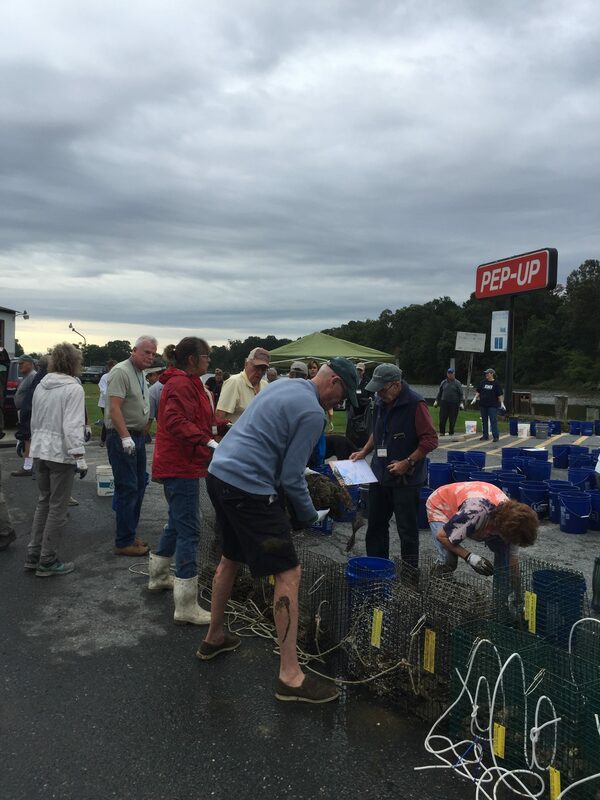 65 volunteers met at 8:25 am to await the arrival of the oyster spat from Horn Point Laboratories that was being delivered by Wayne Wetzke of the Oyster Recovery Partnership. While the volunteers waited they enjoyed hot coffee and donuts and were given their instructions for the day. 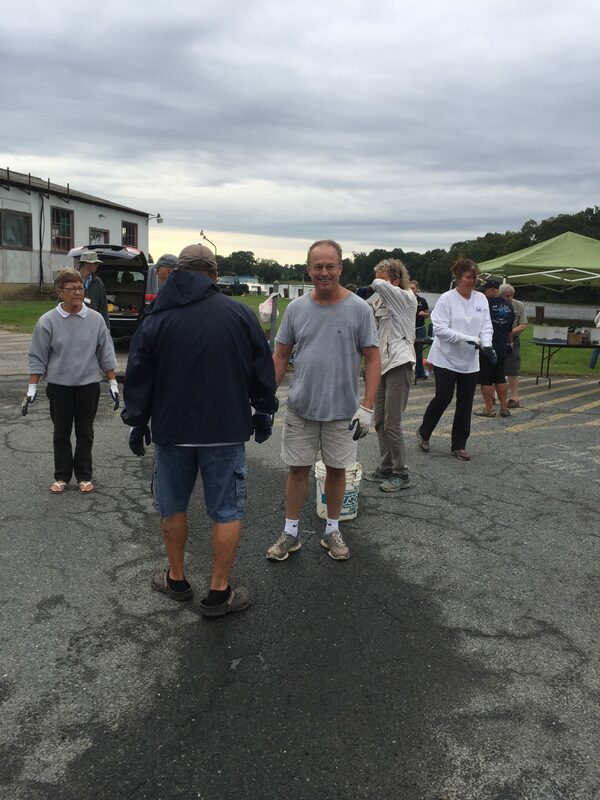 Despite threats of rain in the forecast, overcast skies kept volunteers cool during the deliveries. 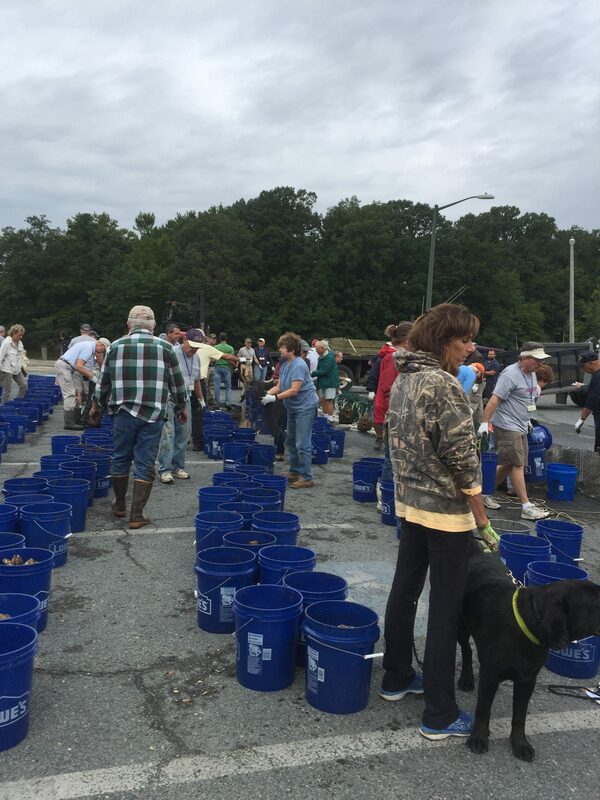 This appreciated fall weather is actually better for the oyster spat, as they can last longer out of the water on cooler, cloudy days than they can on a warm, sunny day. 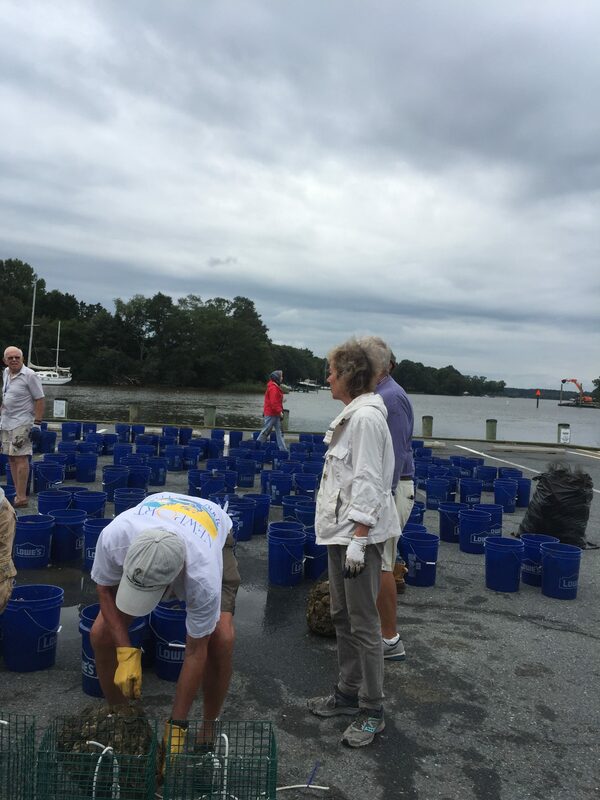 When the spat arrived, the volunteers distributed the bagged spat into cages and buckets for delivery. New growers receivedcages with spat, while existing growers who already hadtheir cages were takentheir spat by way of bucket. After staging was complete (it took the volunteers less than an hour to have all of the buckets and cages filled andthe trucks and trailers loaded)everyonethenheadedout to begin deliveries. 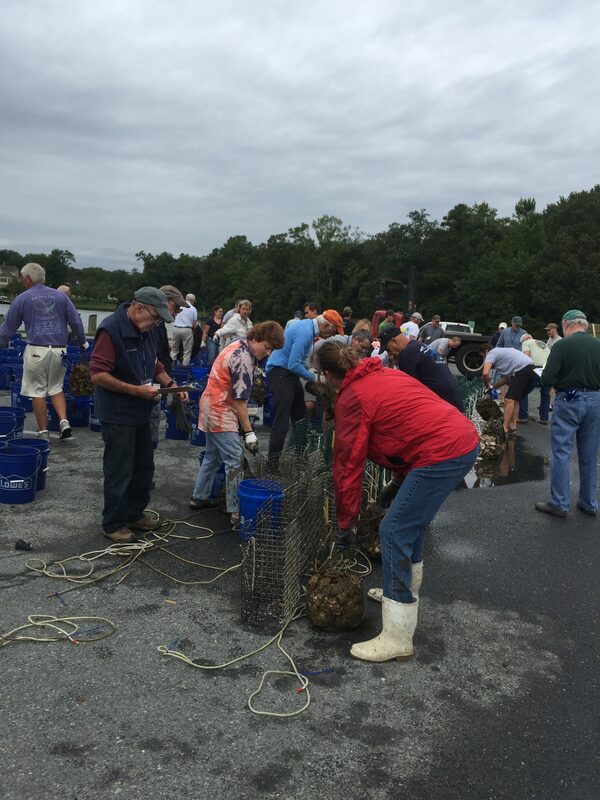 The 65 volunteers delivered over 1,000 cages worth of oysters to 324 households. 32 driving routes were set up for the deliveries to take place and all were completed by 3:00 pm on Thursday afternoon. What an accomplishment! We are once again grateful to all of our growers and volunteers for making this event successful! 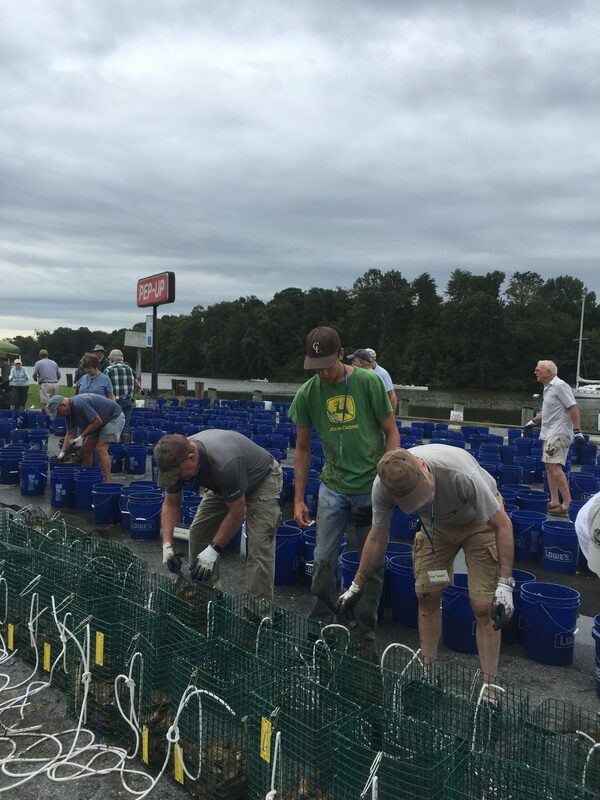 We appreciate your continued efforts and support to help rehabilitate oyster populations in the Bay through oyster gardening. May the spat grow well until next spring!